Your flexibility is very important — we start and end our work day later than other businesses. Most people eat cold pizza for breakfast and we serve ours hot! We offer opportunities for full-time careers, part-time students or the secondary income that is often necessary for survival in the Bay Area. We like people who like other people — we have a high volume of customers who call or visit our stores and we are there to give them a treat — pizza! Customer service is the top priority. We offer positions for experienced food service professionals and new employees. Our focus is a high quality product and outstanding customer service. Positions are available for all shifts in our kitchens, as bartenders and cashiers. 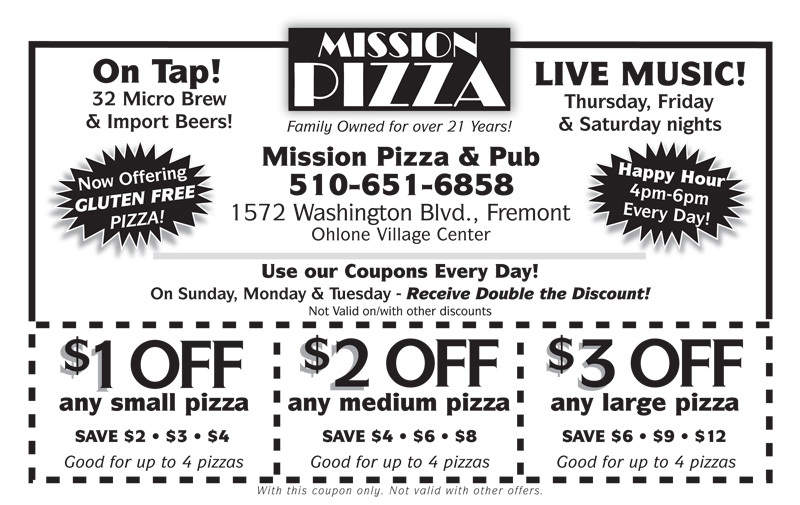 If you have experience in the food service industry, or would like to start your career, Mission Pizza is a great place to work. Our number one requirement is that you have a sense of humor and enjoy a fast paced work environment. We have fun and make things happen! Bring your sense of humor and be prepared to move! One of our dead Presidents said something about honesty — we expect that from every person who joins our team. Bring us some references — preferably not from a dead President. Please apply in person — but not during the lunch or dinner rush. We are pretty busy around those times. Remember — our customers are the first priority. Visit or call and ask for Phil. If he is not available, please leave a message and a good time to call you back. Give us a call — you will have fun!